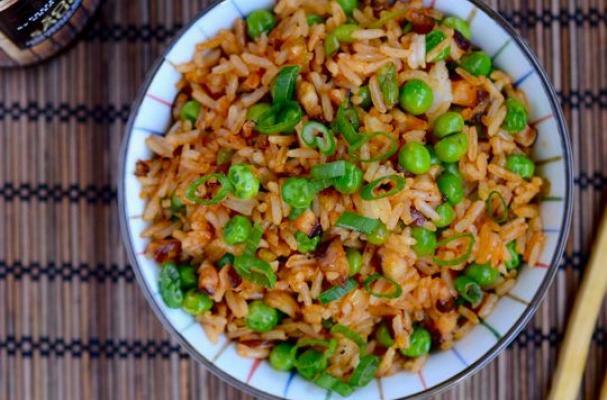 Sriracha fried rice from Appetite for China is a spicy side dish. For hot sauce aficionados, sriracha ranks as one of the best. You can use this ubiquitous sauce in a number of recipes, like this one for fried rice, to add some extra heat. For this dish, sriracha is mixed with leftover rice that has been seasoned with garlic and ginger. Scallions, Shitake mushrooms, and peas are also added in. For full recipe instructions, click here.